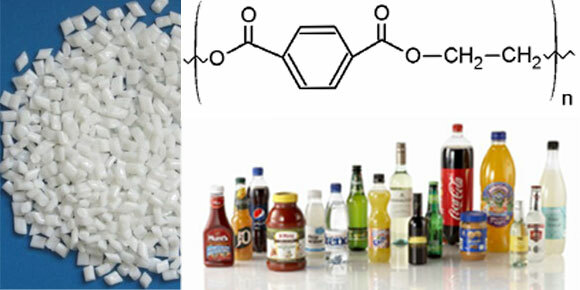 Polyethylene terephthalate (PET) - thermoplastics, the most common representative of the class of polyesters, known by different brand names: Polyethylene Terephthalate or Polyester. PET is used mainly for the manufacture of blanks (preforms) of various types, which are then made (blown after heating) plastic containers of various types and purposes (mainly plastic bottles). To a lesser extent used for processing of the fibers (see polyester), films and molded into products. The world situation is the opposite: most of the PET is used to produce yarns and fibers. Diverse applications of PET preforms in mechanical engineering, chemical industry, food processing equipment, transport and conveyor technology, the medical industry, instrument and consumer electronics. For best mechanical, physical, electrical properties of PET filled with various additives (glass, molybdenum disulfide, PTFE). sheet material that is transparent to sunlight (including UV) and resistant to environmental influences, used in agriculture and construction. Essential disadvantages of PET containers are its relatively low barrier properties. It flows into the bottle ultraviolet rays and oxygen and out - carbon dioxide, which affects the quality and reduces the shelf life of the product. This is due to the fact that the structure of the high-molecular polyethylene not prevent gases having relatively small size of the molecules of the polymer chains. PET is unstable entirely to the action of caustic soda: how to concentrated, and to dilute. Destruction has exactly the nature of pitting corrosion, thus thickness of packaging does not matter. Conversely, the action of concentrated hydrochloric acid solutions leads to a uniform thinning container walls, the thickness of which - with some dexterity - can be reduced to comparable tissue paper.